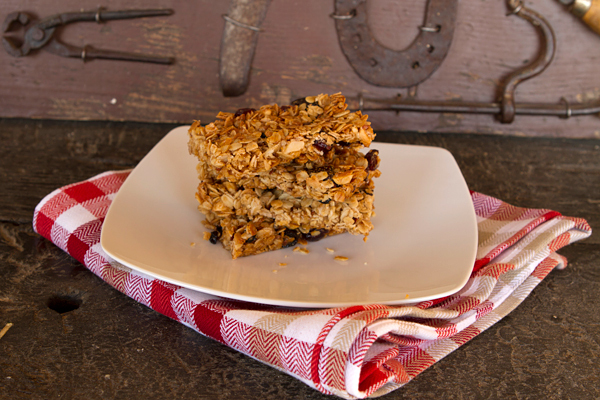 Granola bars are so easy to make and are great lunch options for children’s lunch boxes, after school snack, or to pack in your purse on a busy day when you think you might miss lunch. In these bars I used a combination of nuts and dried fruits, but your flavor options are really endless. Use regular rolled oats, not instant or steel cut for the best results. li>Diets high in oat bran, rice bran and wheat bran have consistently demonstrated great health benefits such as lower cholesterol, healthier hearts and improved intestinal health. 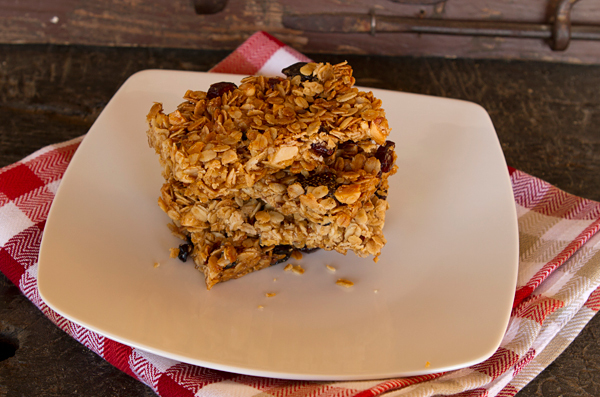 Making your own granola bars is quick and easy, and allows you endless flavor options. Adapted from Spoon, Fork, Bacon blog. Line a 13 x 9 inch baking pan with parchment paper and lightly oil. In a large bowl, mix together the rolled oats, almonds, walnuts, coconut, oat bran, cinnamon, and flax seeds, then toss to mix. In a small saucepan, heat the maple syrup, oil, and honey until warm. Pour the maple syrup mixture over the dry ingredients along with the dried fruit and stir with a wooden spoon until well mixed. Dump the mixture out onto the prepared baking sheet and press with your fingers. Allow to cool to room temperature, then cut into bars.